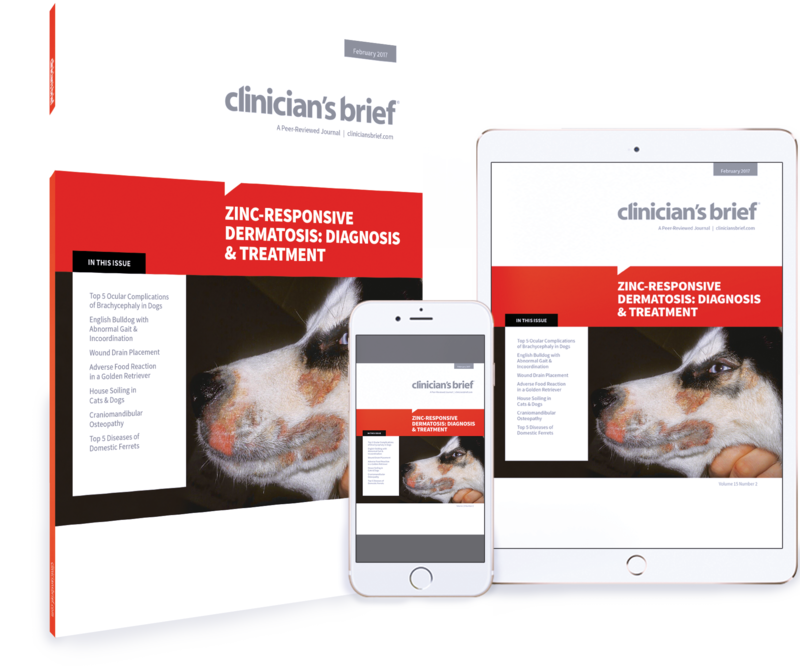 Zinc-responsive dermatosis: explore this uncommon skin disease. 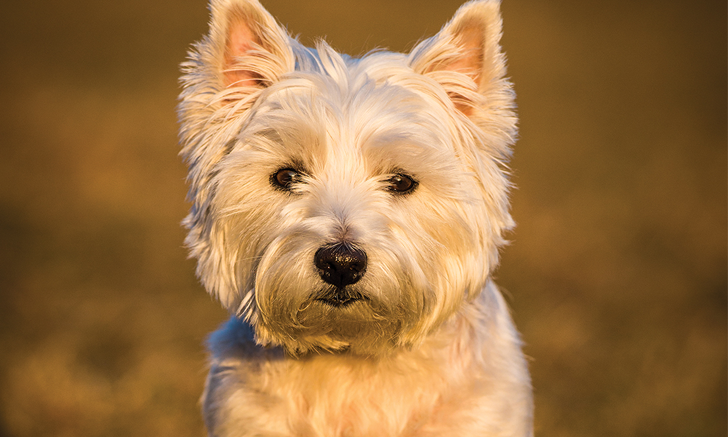 What is the best nutritional approach for treating this dog with an adverse food reaction? 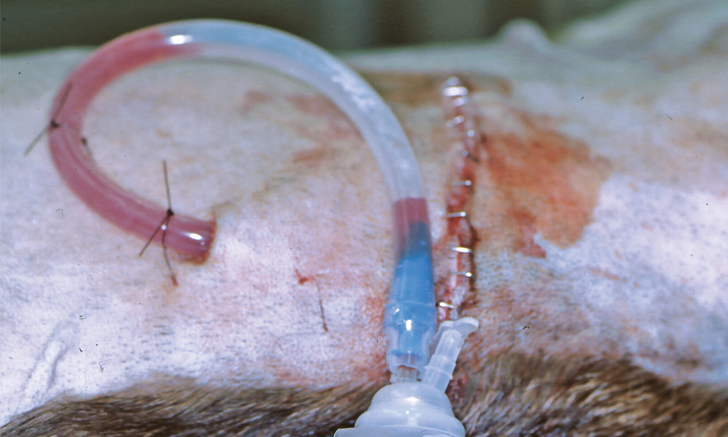 Follow a step-by-step procedure for wound drain placement. 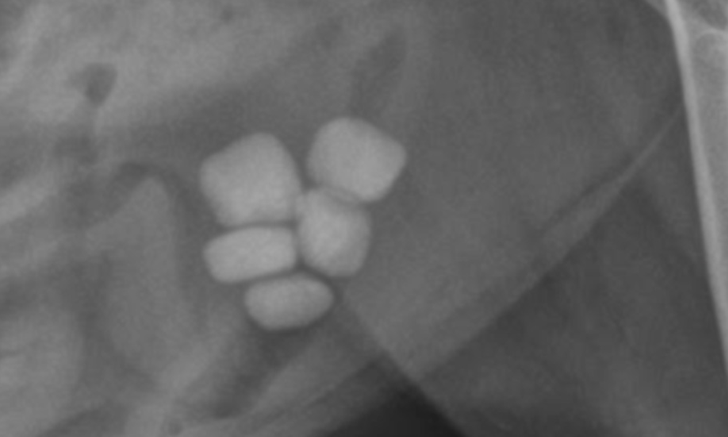 Use this comprehensive image gallery to review diagnostic imaging for urinary calculi in dogs and cats. 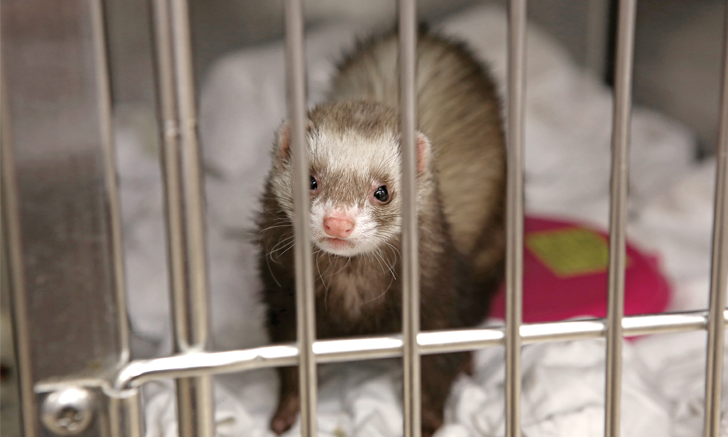 Whether you’ve seen hundreds of ferrets in practice or are just thinking about adding these patients to your repertoire, you may benefit from this concise review of their most common medical problems. 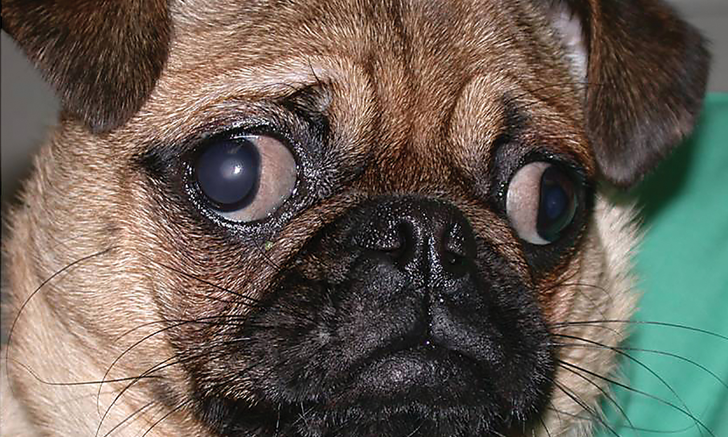 The shallow orbits, short noses, and flat faces of brachycephalic breeds don’t offer much ocular protection. Keep an eye out for these 5 ophthalmologic problems. Solving feline house soiling requires a thorough examination of the patient and the home environment. 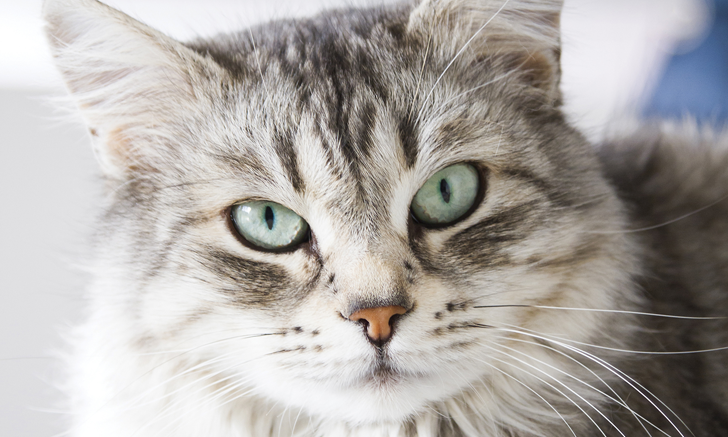 Start by considering these common reasons that cats miss the litter box. 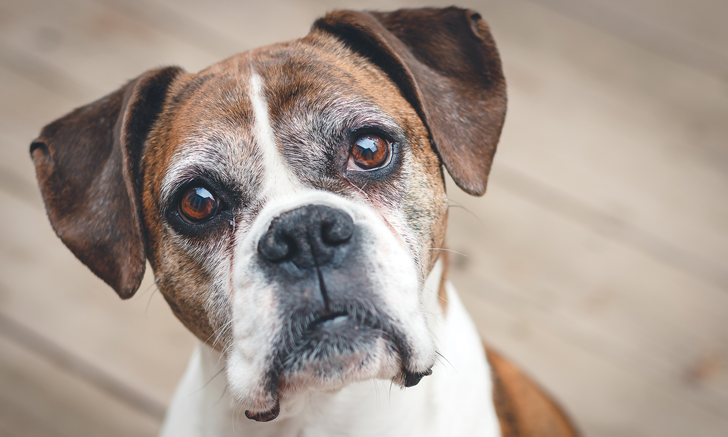 Could a dog’s house soiling be caused by house-training failure, a medical problem, or a behavior issue? 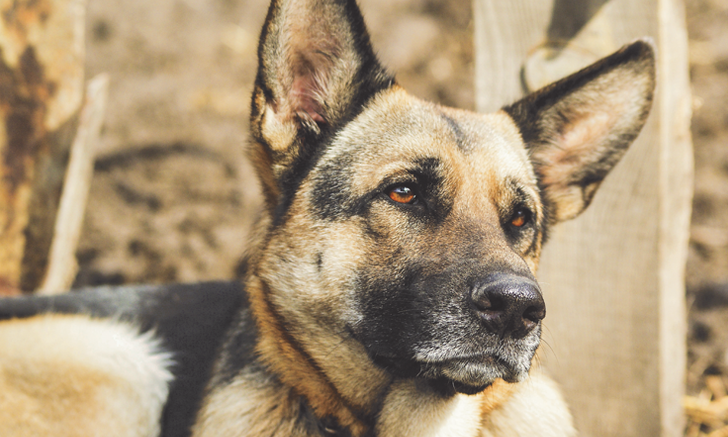 Get to the bottom of canine house soiling by ruling out these scenarios. A careful diet history proved to be a valuable tool in this complicated case. 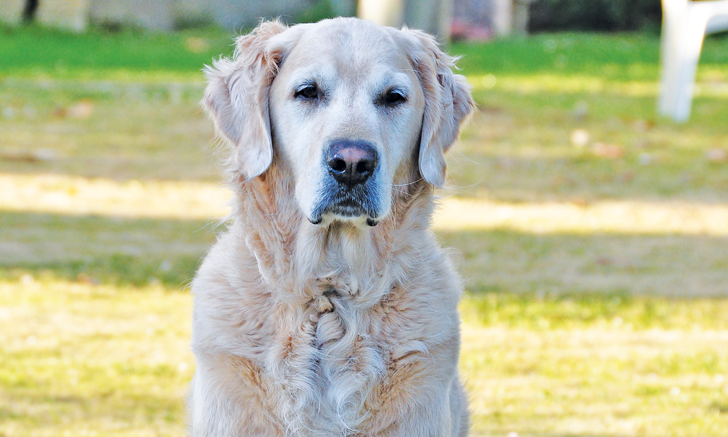 Read how a change in diet diminished this golden retriever's GI and skin signs. Craniomandibular osteopathy can cause bone proliferation so severe that patients cannot eat. Refresh your knowledge of this idiopathic condition, including prognosis and treatment. 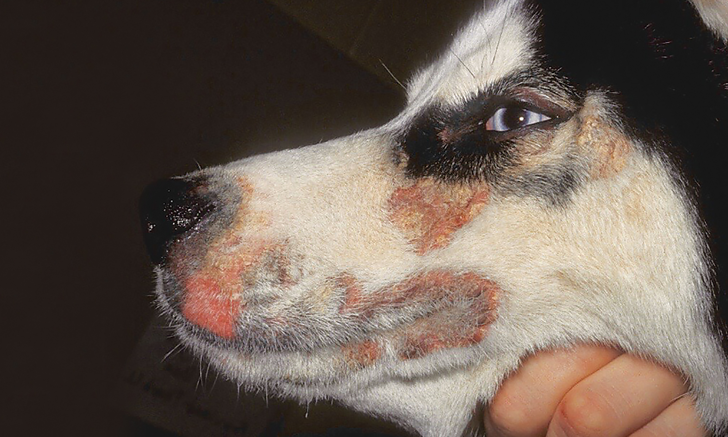 Certain dogs are more prone to zinc-responsive dermatosis. 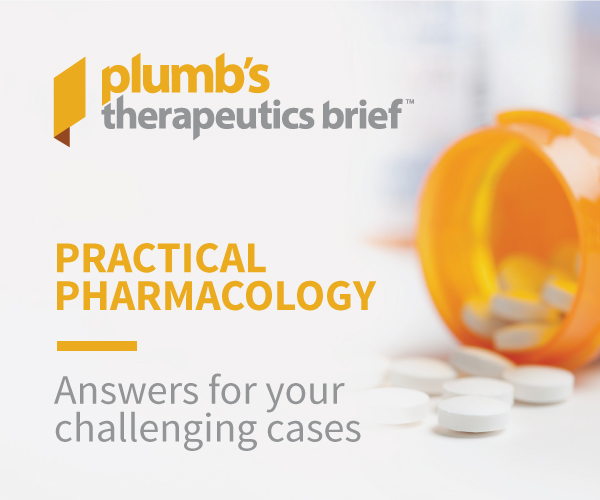 Get expert tips for diagnosing and treating the two most common clinical syndromes. 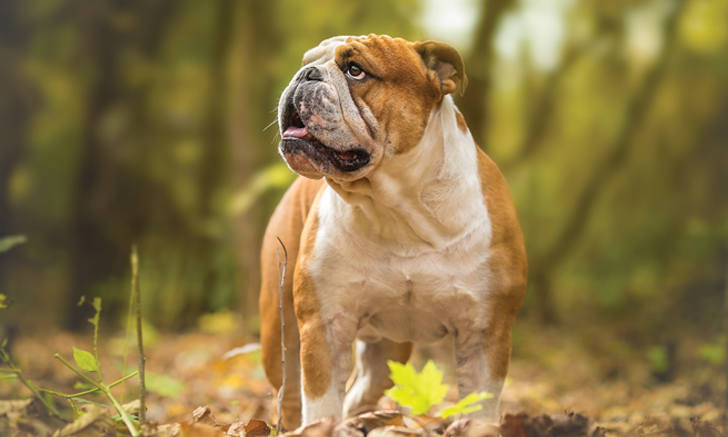 A young bulldog is presented for significant incoordination in all 4 limbs. 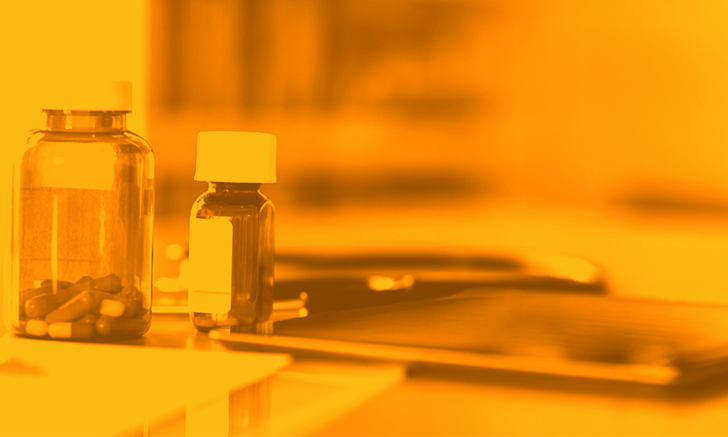 Could metronidazole prescribed months ago be part of the problem?